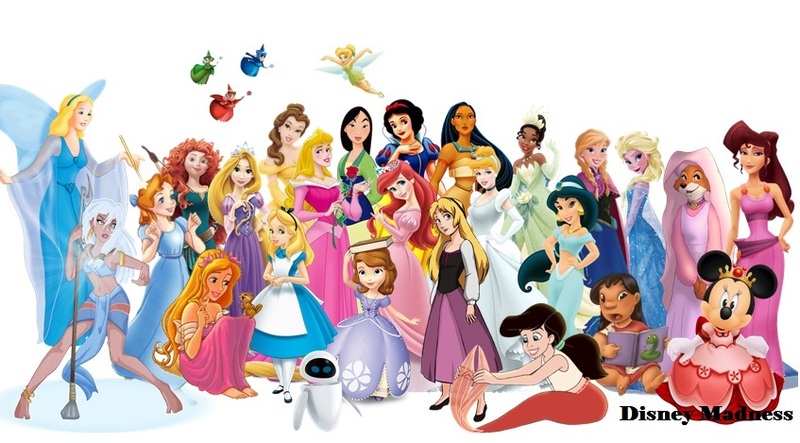 ডিজনি Female Lead Characters. . Wallpaper and background images in the ডিজনি club tagged: photo disney minnie princess movies merida ariel anna elsa frozen little mermaid sofia the first alice in wonderland rapunzel brave. This ডিজনি fan art might contain নকল মানুষের, কমিক বই, কমিকস, and কার্টুন.